This album sort of wrote itself. It was bigger than me and faster than me and so it took me awhile to get a handle on what it was about. Basically, it comes down to stuff I care about. That’s where the title comes from. 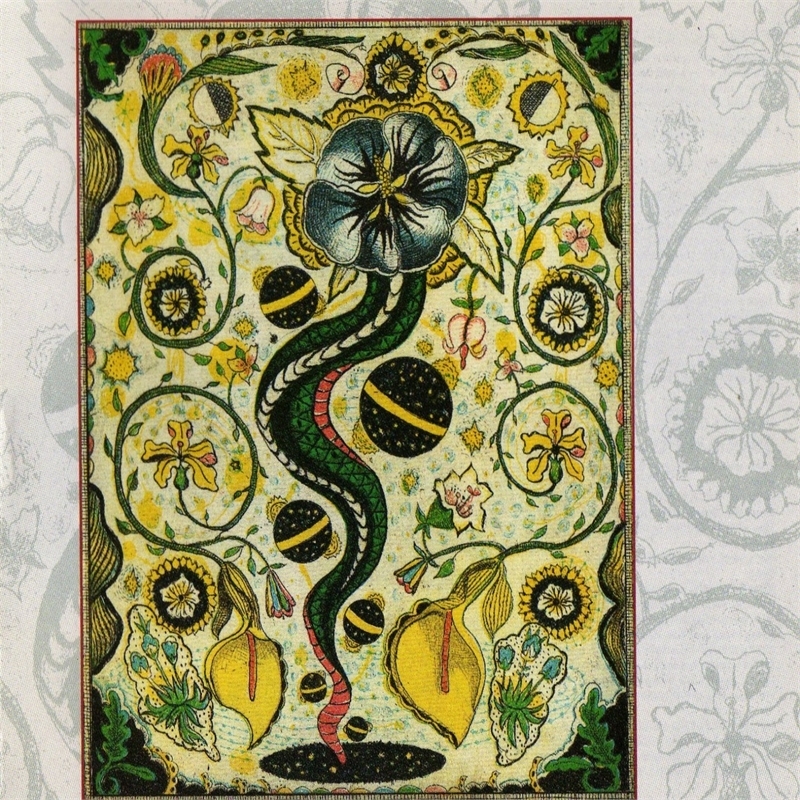 .. the album kicks off with a tremendous one-two punch, the rousing acoustic ballad “Christmas in Washington” and “Taneytown,” a harrowing story of race and violence backed with gale-force electric guitars. 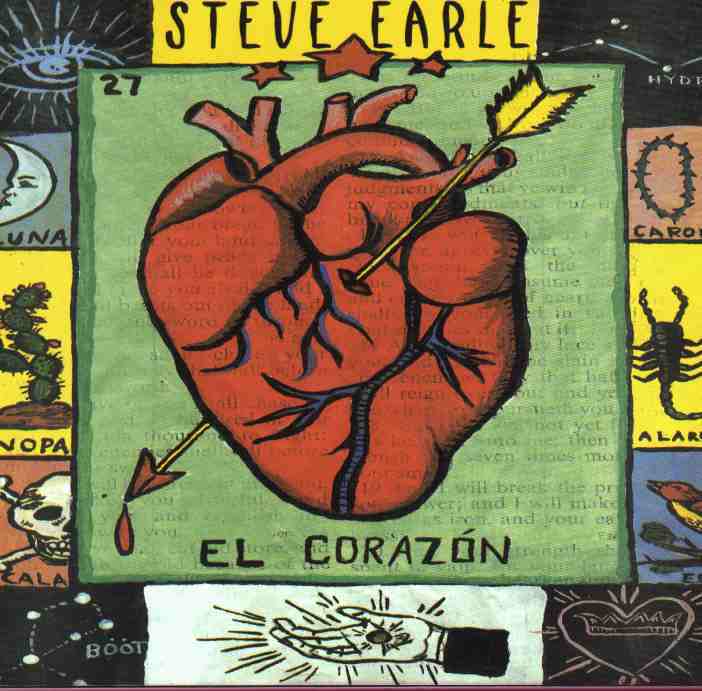 El Corazón is also a good bit more eclectic than much of Earle’s previous work, dipping into bluegrass (“You Know the Rest,” featuring backing from the Del McCoury Band), old-school country (“The Other Side of Town”), hard rock (“N.Y.C.,” co-starring the Supersuckers, and “Here I Am”), and vintage R&B (“Telephone Road”). As its title suggests, El Corazón often deals with matters of the heart, expressed with particular eloquence on “Poison Lovers” and “If You Fall,” though the song’s most emotionally resonant moment comes with its closing song, “Ft. Worth Blues,” a moving farewell to Earle’s longtime friend and mentor Townes Van Zandt. 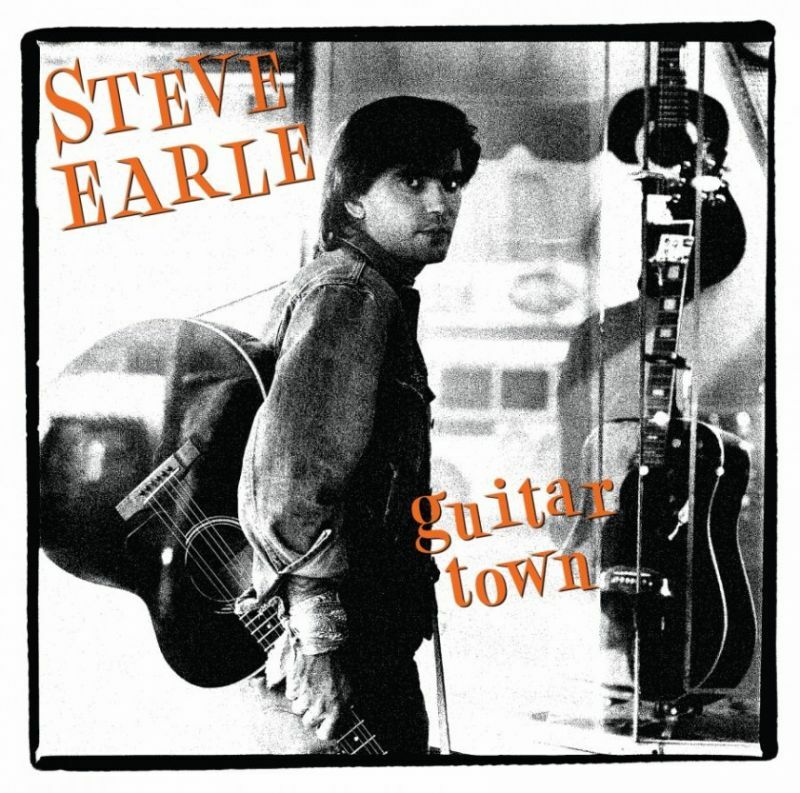 Great album, one of Earle’s best! It’s a mix of country, folk, rock, soul, pain, redemption and politics. What a magnificent brew it is ! Truly remarkable. This song, which is graced with Emmylou Harris singing backup, is told from the point of view of a 22 year old retarded black man. I also wrote it in the form of a short story that will be in my book. Taneytown is a real place – you can see it on maps of The Battle Of Gettysburg – but it (the story) could reallytake place anywhere racism exists. I took a risk writing the story and a risk doing this song and I don’t claim to have it well…. But just taking the chance made it worthwhile for me. The first two things I wrote were Guitar Town and Down the Road, because I was looking for an opening and an ending. So I wrote ’em like bookends, and then filled in the spaces in the middle. And the album’s kind of about me. It’s kind of personal. 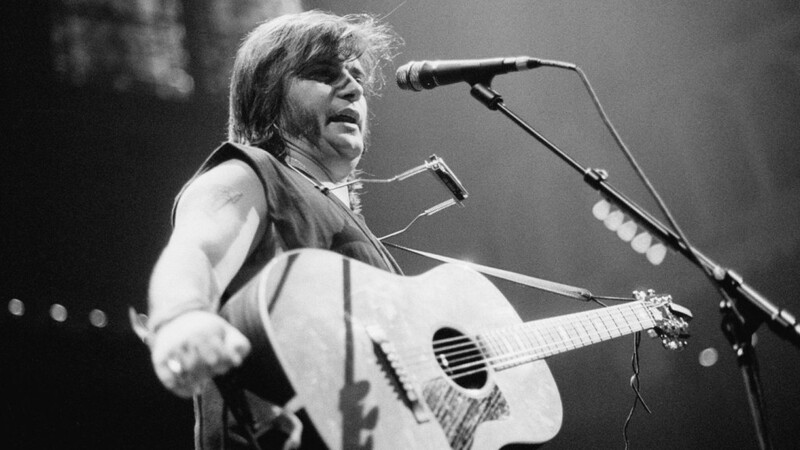 Guitar Town was his first shot at showing a major audience what he could do, and he hit a bull’s-eye — it’s perhaps the strongest and most confident debut album any country act released in the 1980s. All we do as songwriters is rewrite the songs that have impressed us till we find our own voice. It’s part of learning the craft. 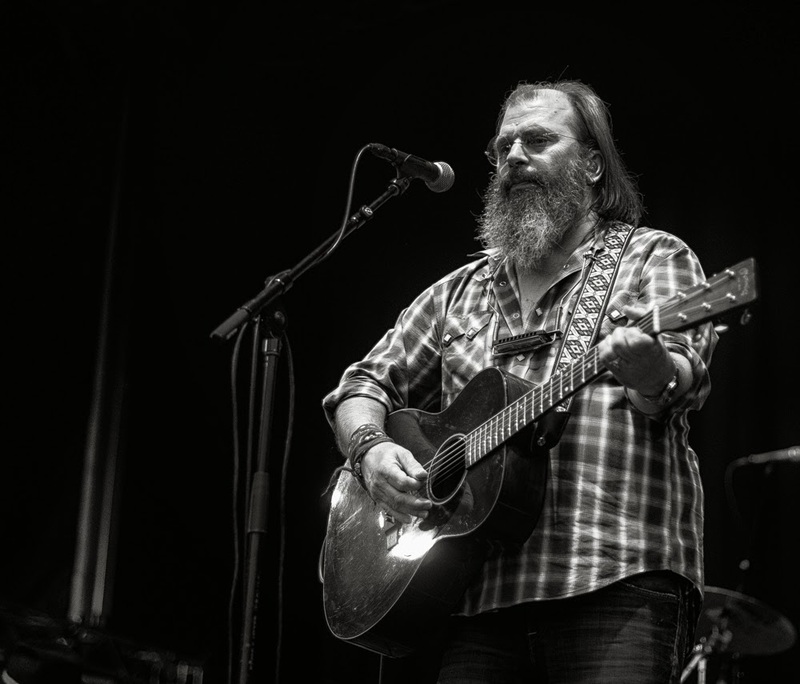 On June 25, 1996, as part of a court order, Steve Earle performed a live concert for prison inmates at Tennessee’s Cold Creek Correctional Facility where Earle was incarcerated in 1994. 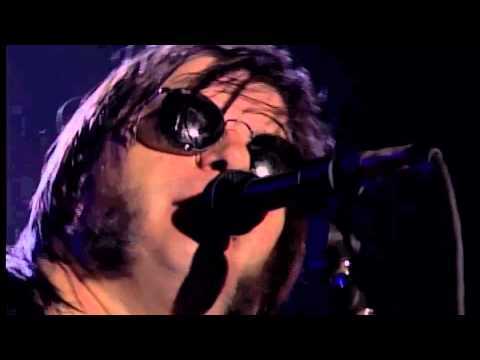 The concert entitled To Hell and Back aired on MTV on August 17, 1996. Steve reunited with his backing group the Dukes for the concert, and it was an incredible show. Earle gives the performance of a lifetime “This ain’t gonna be a beach party,” he says in front of an appreciative audience of convicts who had just endured two days in a prison-wide lockdown.